(Cambridge, MD) June 1st, 2017 - Cambridge Federal’s Call Center recently achieved its Operational Readiness Review (ORR) and is now operational. This effort is in support of Maryland’s Department of Health and Mental Hygiene’s (DHMH) recently awarded contract with Delmarva Foundation as the Maryland External Quality Review Organization (EQRO). Cambridge Federal, LLC, is conducting quality measure assessments on all Managed Care Organizations (MCO) in the State of Maryland. This initiative will validate that the MCO’s compliance with access and availability requirements. Delmarva Foundation will utilize all data collected from the Call Center for its final report with the Maryland Department of Health and Mental Hygiene. Cambridge Federal was able to create three new positions in their main office located in Cambridge, Maryland due to the award of the contract. The positions that were created are in the Call Center, where they will conduct the telephone surveys. Cambridge Federal was also able to leverage investments in infrastructure and training. Ultimately, Cambridge Federal will provide value to all potential end users of Managed Care Organizations. Cambridge Federal would like to thank Delmarva Foundation for supporting small businesses here on the Eastern Shore. Cambridge Federal was established in 2012 in an effort to give back to the community by increasing quality employment opportunities, technical training, investment, and overall economic development on Delmarva. 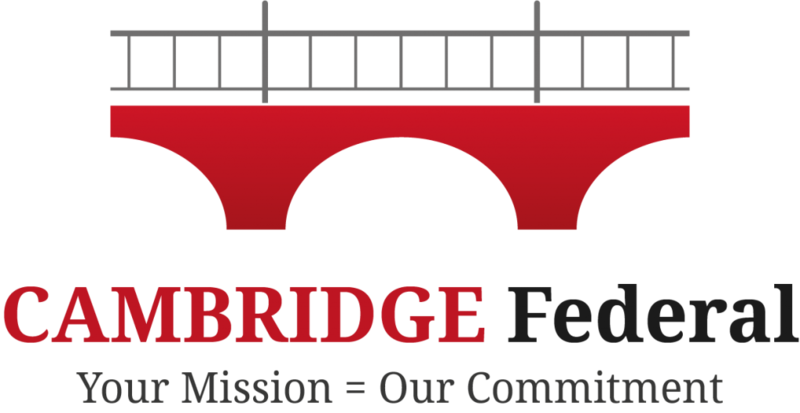 Cambridge Federal, founded by a US Navy Aviator and combat veteran who is an experienced government-contracting executive and an Adjunct Professor at Salisbury University. Cambridge Federal is a certified HUBZone and Veteran Owned Small Business (VOSB) and is currently located in the Eastern Shore Innovation Center (ESIC/Incubator). To learn more about Cambridge Federal, visit our website at www.CambridgeFederal.com or like us on Facebook at https://www.facebook.com/cambridgefederal/?ref=page_internal. Cambridge Federal is now a Value Added Reseller (VAR) of Smartwater’s Contagious Disease Training (CDT) products. Cambridge, MD: 8/10/17, Cambridge Federal LLC, an IT and security company is proud to announce that they are a value added reseller of Smartwater Contagious Disease Training (CDT) products. Smartwater CDT is a water-based substance that allows first responders and medical staff to increase their readiness with the containment of highly contagious diseases. Under simulated real-life scenarios, first responders and medical staff can see all the direct and indirect ways that infected body fluids may be inadvertently spread while caring for infected patients or handling contaminated equipment. By properly training all first responders and medical staff, it will minimize the inadvertent spread of a contagion. Cambridge Federal plans on working with all law enforcement, first responders, medical staff and Universities to help educate and improve anti-contamination procedures and behaviors. Cambridge Federal is working towards adding this product and related training services to their GSA Contract Vehicles. About Cambridge Federal LLC: Cambridge Federal was established in 2012 in an effort to give back to the community by increasing quality employment opportunities, technical training, investment, and overall economic development on Delmarva. Cambridge Federal, founded by a US combat veteran who is an experienced government-contracting executive and an Adjunct Professor at Salisbury University. Cambridge Federal is a certified HUBZone and Veteran Owned Small Business (VOSB) and is currently located in the Eastern Shore Innovation Center (ESIC/Incubator). To learn more about Cambridge Federal, visit our website at www.CambridgeFederal.com or like us on Facebook at https://www.facebook.com/cambridgefederal/?ref=page_internal. About Smartwater CSI: SmartWater CSI, LLC™ In 2014, the West African Ebola virus epidemic was the most widespread outbreak of Ebola virus disease in history—causing major loss of life and socioeconomic disruption in the region, mainly in the countries of Guinea, Liberia, and Sierra Leone. Smartwater leveraged their CSI product and related technologies and developed the CDT product and related training services for first responders and medical staff. Smartwater CSI is a high technology company with an established track record of crime deterrence and theft reduction. SmartWater is an asset protection system in the form of a clear traceable liquid which contains a unique forensic code that is extremely robust and guaranteed to last a minimum of 5 years within all weather conditions. It is applied to items of value – personal, commercial, and industrial –, which are frequently the target of theft. The non-hazardous patented traceable liquid leaves a long-lasting identifying mark that is invisible except under ultraviolet black light. Law enforcement officials take the smallest micro-fragment of SmartWater from stolen property and send it to SmartWater’s forensic laboratories, where it is scientifically analyzed to identify the owner. As a result, thieves who make the mistake of targeting SmartWater marked-assets face a far greater risk of successful prosecution. Ultimately, as the statistics over the past 15 years exhibit, crime is reduced and the public enjoys a safer environment. Click here to purchase Smartwater CDT products!